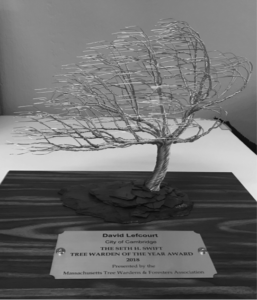 Tree Warden of the Year | Massachusetts Tree Wardens and Foresters Assn. Holds position of Tree Warden or Deputy Tree Warden in a municipality. 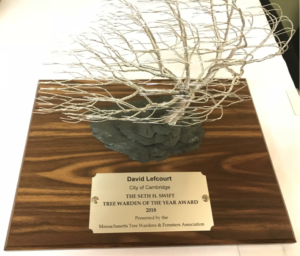 The award is given at the Association’s annual conference in January. The MTWFA holds an Arbor Day event in the town or city where the individual works and publicizes the award in that recipient’s area.